Start off your visit on the 13th (Tue): kick back and relax at Essaouira Beach, then make a trip to Essaouira Ramparts, and then take a stroll through Medina of Essaouira. To find more things to do, reviews, other places to visit, and other tourist information, read our Essaouira trip itinerary maker. New York City, USA to Essaouira is an approximately 25-hour flight. The time zone changes from Eastern Standard Time (EST) to Western European Time (WET), which is usually a 5 hour difference. 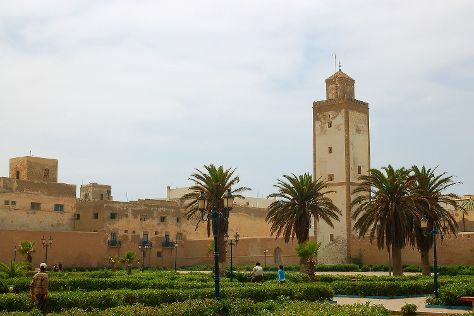 In June, daytime highs in Essaouira are 76°F, while nighttime lows are 62°F. 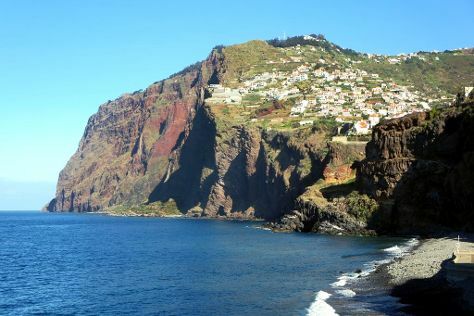 Wrap up your sightseeing on the 14th (Wed) early enough to travel to Funchal. On the 15th (Thu), get great views at Cabo Girao, learn about winemaking at Blandy's Winelodge, then take in the architecture and atmosphere at Igreja de Nossa Senhora do Monte, and finally take in the awesome beauty at Pico do Arieiro. Here are some ideas for day two: explore the activities along Porto Moniz Natural Swimming Pools, pause for some serene contemplation at Igreja Da Nossa Senhora Da Conceicao, and then look for all kinds of wild species at Ponta de Sao Lourenco. For more things to do, traveler tips, ratings, and tourist information, read our Funchal sightseeing planner. The Route module can help you plan travel from Essaouira to Funchal. In June, daily temperatures in Funchal can reach 75°F, while at night they dip to 64°F. 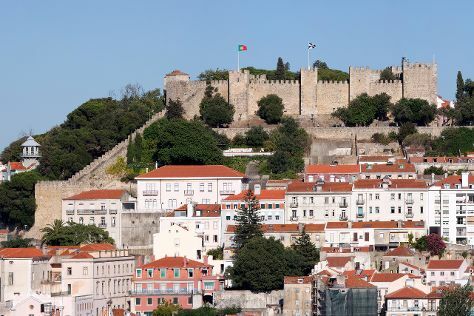 Wrap up your sightseeing on the 17th (Sat) early enough to travel to Lisbon. Visit Castle of the Moors and Jeronimos Monastery for their historical value. Get a sense of the local culture at Quinta da Regaleira and Castelo de S. Jorge. Change things up with these side-trips from Lisbon: Cabo da Roca (in Colares) and Cascais Historic Center (in Cascais). And it doesn't end there: get to know the fascinating history of Belém Tower, appreciate the history behind Padrao dos Descobrimentos, and take in the views from 25 de Abril Bridge. To find other places to visit, more things to do, photos, and more tourist information, you can read our Lisbon travel planner. You can fly from Funchal to Lisbon in 4.5 hours. In June in Lisbon, expect temperatures between 78°F during the day and 61°F at night. Finish your sightseeing early on the 20th (Tue) so you can drive to Albufeira. Get a sense of the local culture at Centro Historico de Albufeira and Church of St. Anthony (Igreja de Santo Antonio). Step off the beaten path and head to Praia dos Olhos de Água and Praia Dona Ana. 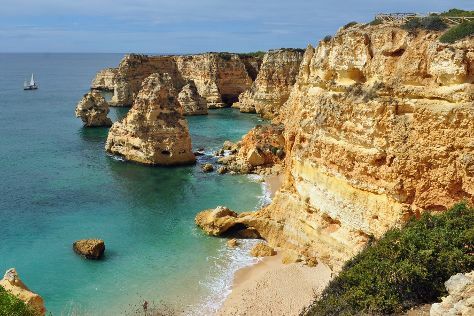 Venture out of the city with trips to Praia Da Rocha (in Praia da Rocha), Lagos (Ponta da Piedade & Camilo Beach) and Praia da Marinha (in Carvoeiro). There's more to do: kick back and relax at Falesia Beach and have fun at Hot Wheels Raceway. To see where to stay, ratings, traveler tips, and more tourist information, go to the Albufeira holiday planner. Getting from Lisbon to Albufeira by car takes about 2.5 hours. Other options: take a train; or take a bus. June in Albufeira sees daily highs of 80°F and lows of 64°F at night. Wrap up your sightseeing on the 24th (Sat) to allow time to drive to Seville. Eschew the tourist crowds and head to Plaza De Toros De La Maestranza and Triana. Do some cultural sightseeing at Seville Cathedral (Catedral de Sevilla) and Barrio Santa Cruz. Next up on the itinerary: explore the historical opulence of Royal Alcázar of Seville, admire the natural beauty at Maria Luisa Park (Parque de Maria Luisa), take in the spiritual surroundings of Basílica de la Macarena, and learn about all things military at Torre del Oro. For traveler tips, where to stay, photos, and tourist information, read Seville trip itinerary planner. Traveling by car from Albufeira to Seville takes 2.5 hours. Alternatively, you can take a bus. You'll lose 1 hour traveling from Albufeira to Seville due to the time zone difference. When traveling from Albufeira in June, plan for a bit warmer days in Seville, with highs around 86°F, while nights are about the same with lows around 62°F. Wrap up your sightseeing on the 26th (Mon) early enough to take a train to Cordoba. Kick off your visit on the 27th (Tue): take in the spiritual surroundings of Mosque-Cathedral of Córdoba, delve into the distant past at Roman Bridge, then don't miss a visit to Historic Centre of Cordoba, then wander the streets of Jewish Quarter (Juderia), and finally take in the architecture and atmosphere at Capilla Mudejar de San Bartolome. 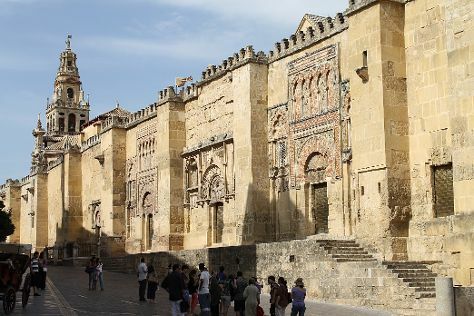 Here are some ideas for day two: take an in-depth tour of Palacio de Viana, then don't miss a visit to Patios de Cordoba, and then take an in-depth tour of Archaeological Ensemble of Madinat Al-Zahra. For ratings, reviews, traveler tips, and other tourist information, you can read our Cordoba travel itinerary planner. Traveling by train from Seville to Cordoba takes an hour. Alternatively, you can drive; or take a bus. Expect somewhat warmer weather when traveling from Seville in June: highs in Cordoba hover around 92°F, while lows dip to 62°F. Finish your sightseeing early on the 28th (Wed) to allow enough time to drive to Granada. 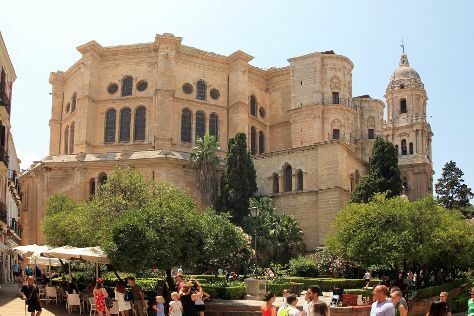 Start off your visit on the 29th (Thu): admire the striking features of Cathedral and Royal Chapel (Capilla Real), stroll through Generalife, and then step into the grandiose world of Alhambra. 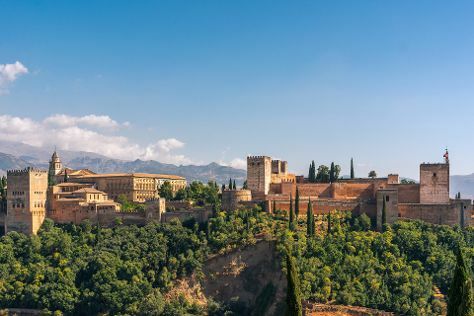 Keep things going the next day: wander the streets of Sacromonte, take a stroll through Albayzin, then get to know the fascinating history of Mirador de San Nicolas, and finally contemplate in the serene atmosphere at Granada Cathedral. For photos, other places to visit, maps, and more tourist information, you can read our Granada trip itinerary planner. Getting from Cordoba to Granada by car takes about 2.5 hours. Other options: take a train; or take a bus. Expect a bit cooler weather when traveling from Cordoba in June: highs in Granada hover around 83°F, while lows dip to 59°F. Finish up your sightseeing early on the 1st (Sat) so you can go by car to Marbella. Start off your visit on the 1st (Sat): take a stroll through La Carihuela, steep yourself in history at Catedral de la Encarnación de Málaga, and then wander the streets of Marbella Old Quarter. Get ready for a full day of sightseeing on the 2nd (Sun): steep yourself in history at Castillo de Gibralfaro, then admire the masterpieces at Museo Picasso Malaga, and then make a trip to Puerto de Malaga. For reviews, more things to do, maps, and tourist information, you can read our Marbella tour planner. You can drive from Granada to Marbella in 2 hours. Another option is to take a bus. Expect slightly colder weather when traveling from Granada in July: highs in Marbella hover around 88°F, while lows dip to 70°F. Wrap up your sightseeing by early afternoon on the 3rd (Mon) to allow time for travel back home.